What is GAUGE and why is it so important? I get a lot of questions about which type of yarn do I use for my patterns or which type of yarn would I recommend for the particular pattern. The answer is not so simple. 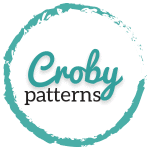 Well, it’s easy to share the Ravelry link or link to the official website of the specific yarn that I use, but my Croby crocheters live all around the world and we do not have access to same yarn all the time. So even more important information than the type of yarn in the pattern for me is the gauge. Gauge or tension is simply a number of stitches and rows you produce per inch when crocheting and determines the size of your finished project. So before you start you should always check the gauge! Why? Because the yarn recommended in the pattern is not always available in your local craft store or you just simply want to use different yarn that the pattern recommends. But be careful! If the gauge is not right, your final item will be too big or too small. No one wants that. (Or do you?) So always check the gauge before you start! How to check the GAUGE? 1) Take the recommended hook and yarn. The gauge is in most patterns written in a number of stitches in 4 inches. So first make a foundation chain 4 inches long or more (plus chain that counts as a first stitch for the second row). 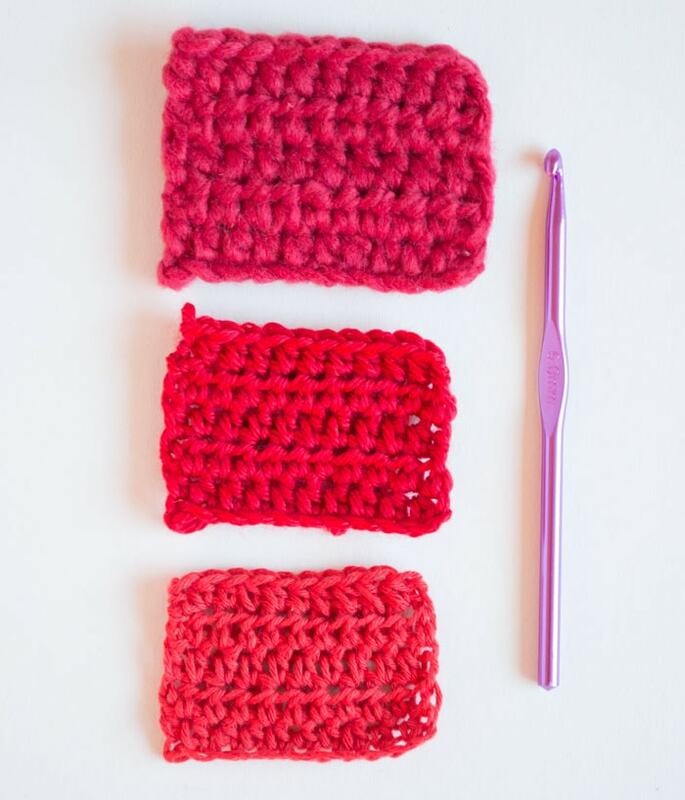 2) Create rows of single crochet (or rows of recommended stitch) stitches until your crochet piece measures more than 4 inches high (or more). 3) Place the piece on a flat surface. 4) Take a ruler. And measure it. 5) Be careful! To obtain the gauge you have to have the recommended number of the stitches and the recommended number of the rows in the 4 inches square. The simple way to obtain the gauge is to take a smaller or a bigger hook or yarn. 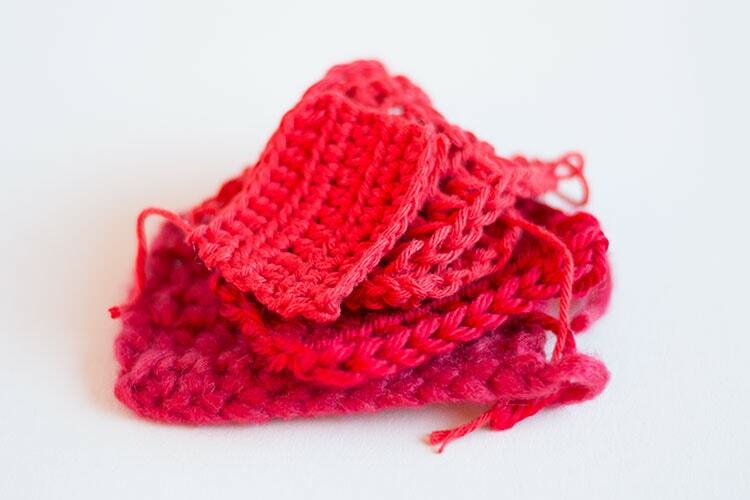 If you are working on crochet baby booties, the easiest way to check the gauge is to complete one sole. If the size of your finished sole is the same size as size written in the pattern than the gauge is correct. If the size of your sole is too big or too small try to obtain the gauge with smaller or bigger hook or different yarn weight. 1) We will use DK weight 100% cotton yarn. Yarn, that I use for almost all my pattern. 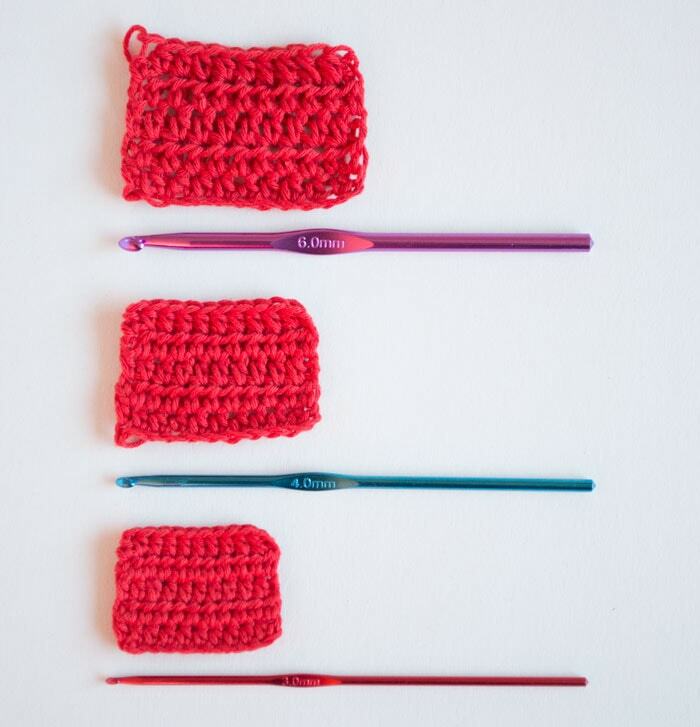 And we will also use 3 sizes of crochet hook: 6 mm (J/10), 4 mm (G/6) and 3 mm (-) hook. From the picture below you can see the gauge differences. 2) Now we will use the same hook size, that is 6 mm (J/10) crochet hook and 3 different yarn weights: Bulky weight yarn, Worsted weight yarn, and DK weight yarn. From the picture below you can see the differences. Let’s say, you found the pattern you like, but the problem is that the pattern does not come in the size you need. The easiest way to make the final item smaller or bigger is to use a smaller or bigger size of the hook or use different yarn weight. 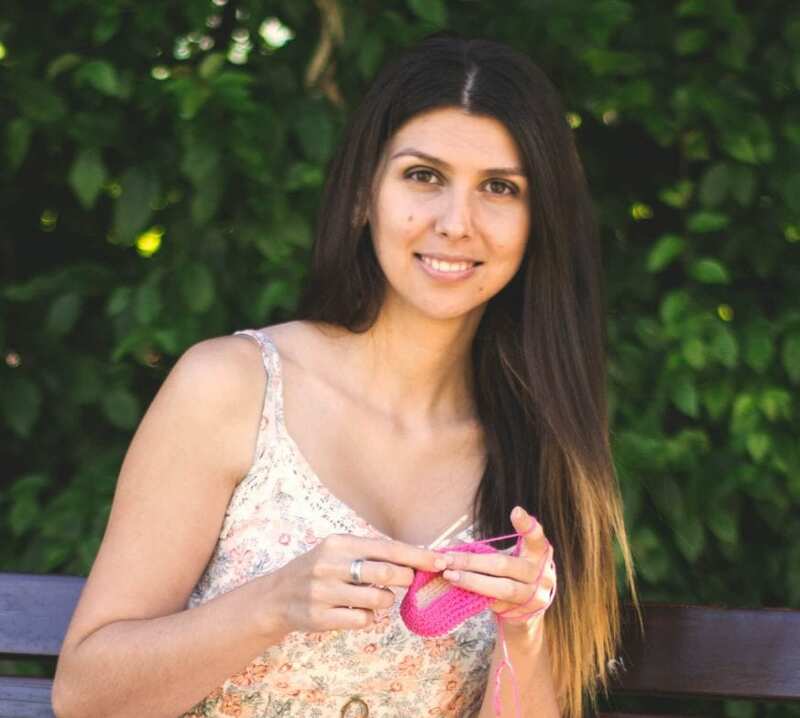 Crocheting is a wonderful skill. When crocheting you can create anything you want. Baby clothes, toys, blankets … and a lot more. Be brave and try something new each time. You can learn any stitch and any technique you want. Nothing is too hard for you. Hi how are you? ?… i love the way you crochet. i have never done it in my life but i follow your videos step by step and i have made two little baby booties!!! for my sister who is pregnant. Now i want to make one for my daughter shes 9 months old but i have no idea how to make it bigger. I know you said to use a bigger hook but how big? i saw the pictures of your hooks but mine are different, from small to big: “F/5-3.75MM, G/6-4.25MM, H/8-5.00MM, I/9-5.25MM” what do the letters before the – mean??? please help me. Really helpful information for me as a beginner, thank you! I am feeling very inspired by you! Thank you so much for your beautiful crochet!